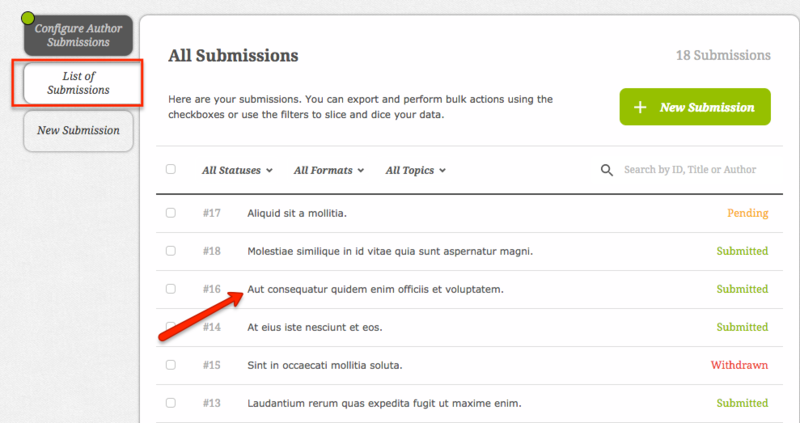 Then select List of Submissions tab. 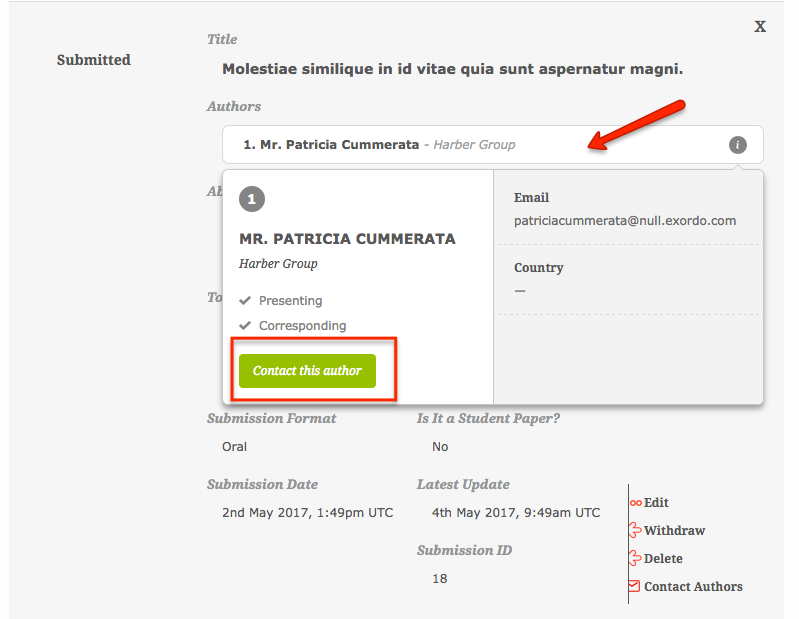 Here you have the option to search for either the ID or Title of the paper or you can look specifically for the author. Once you have the submission with the author that you wish to contact, you'll need to click on the title of it to expand the view. If you click the button, the Communication hub will open up, directly in the Writing step. Compose your email and send it out.